ask for my discord if you wanna chat! 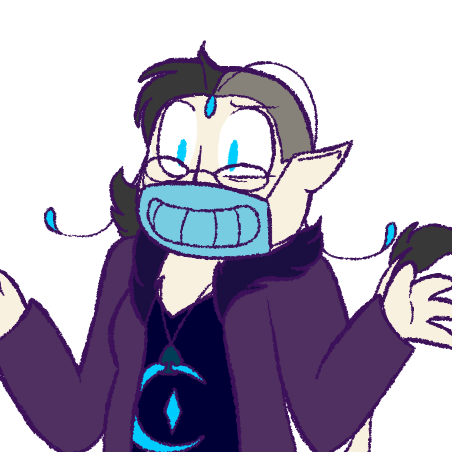 none of my OCs are for trade or sale unless they are in my adoptables/trade folder or its subfolders. please do not offer on any of them! you can draw them whenever, but let me know! feel free to @ me, but don't do it too frequently, it gets overwhelming! refresh for a new chibi! curious about who these are? these are characters from my personal favorites tag! want to commission me? 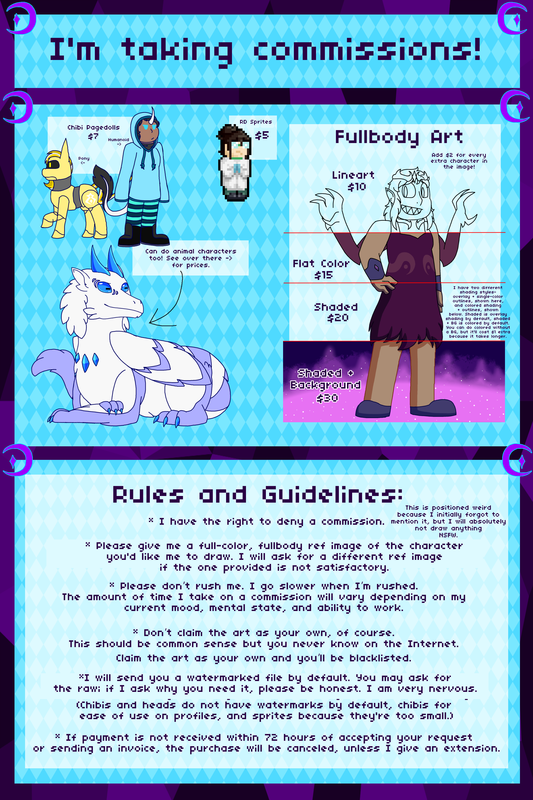 my commission sheet is in this bulletin, including rules! good ref image, please! i need something fullbody and full-color to work with, preferably digital but traditional is fine if it's what you got. please don't rush me, i go slower when i'm rushed! i usually go pretty quick but i'm very sorry if i take longer than usual! don't claim the art as your own/edit off the watermark/whatever. if you need a raw version of the image (i send watermarked by default), ask me, but please don't be upset if i ask why you need it. i'm very nervous! please send the money within 72 hrs of your rq being accepted! the purchase will be canceled otherwise. i can give extensions if you need them. Dropping this in my bulletins for now so I can have something to easily link to when I want to advertise commissions or whatever. Hi! You have very nice style. The roleplay of The Lion King will have a new story or will have an inspiration of movie? Definitely not the final name, no. Hello. I have autism too, and I've been a fan of your art for a long time. Forget of talk if you're interested in me?